Wagstaff reached his 300-game milestone on Thursday night in Adelaide, but it didn’t prove a night of celebration with the 36ers beating the Wildcats 97-84 to continue a tough run of recent form for the ‘Cats. The Wildcats have now lost three straight matches, seven of their past eight and eight of the last ten to be in the unfamiliar territory of being a realistic chance of missing the playoffs if they don’t start winning again – and soon. That’s something new for the career of Wagstaff since he arrived at the Wildcats ahead of what would be a championship winning 2009-10 season fresh out of successful college career at Denver’s Metro State University. He was the league’s Rookie of the Year on his way to his first championship and he has remained an important and consistent member of the Wildcats team right throughout his 300 games winning rings in 2014, 2016 and 2017 along the way. He was the NBL Best Sixth Man for the 2011/12 season and his ability has been rewarded right throughout the past decade with his regular appearances for the Australian Boomers, recognising his strong all-around talents. By the end of this season, Wagstaff will be fifth in the all-time games played list for the Wildcats and he’s in rare company as he will only sit behind Ricky Grace (482), Shawn Redhage (380), James Crawford (371) and Andrew Vlahov (349). His durability has been one of his strengths with him playing the most games in the league over the past decade, four more than his old foe Mika Vukona and 19 more than another New Zealand Breaker, Tom Abercrombie. Not only have the Wildcats never missed the playoffs during Wagstaff’s career, they have never really looked like it, taking the club’s remarkable streak of finals appearances to 32 seasons. Winning ten of the first 11 games this season meant they looked certain to extend that to a 33rd year, but now at 12-9 heading into Sunday’s clash with Melbourne at RAC Arena their season is precariously placed. A win and Perth is right back in the hunt for a top two finish with Melbourne (12-7) and the Sydney Kings (13-8). 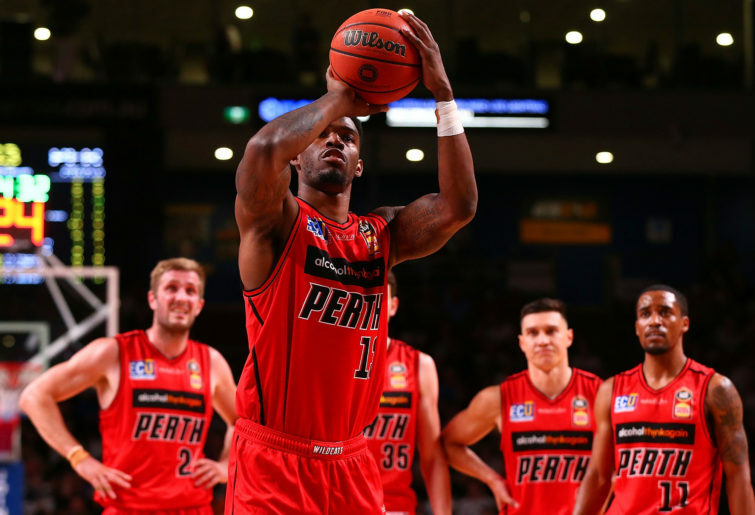 But a loss and they are just clinging to a spot in the top four fighting it out with the Brisbane Bullets (12-9), Adelaide 36ers (12-10), Illawarra Hawks (10-11) and New Zealand Breakers (8-11). So coming into Game 301 back in front of 13,000 roaring home fans in red against the reigning champions and current league-leaders, Wagstaff is in the unfamiliar territory of needing to help his team win or face the prospect of missing finals. But what he’s learnt over those first 300 games is that nothing comes easy, especially as the NBL has gone from strength to strength during his decade-long career where he’s been at the forefront of the league’s standard-bearing club which has grown enormously. “I think after my first season I quite ignorantly and naively thought that a championship would happen every year when we were soaking up that grand final win,” Wagstaff said. “But as the league’s got better and I’ve become older, I’ve realised that’s not what happens and there’s a lot of sacrifices, hard work and luck that goes into winning a championship. “Guys can go their whole career without winning one so I consider myself extremely fortunate to play basketball and have some success along the road, and the life experiences basketball has given me has been huge. “Thinking back, we used to be out the back of Perry Lakes in an asbestos-ridden building with a skeleton staff of maybe four or five, and some of those are still with us like Troy (Georgiu) and Katie (Reid). “To go from that and playing at Challenge, which provided a phenomenal atmosphere to its credit, to the Bendat Basketball Centre where we are now and Perth Arena where we average crowds of 13,000 is a testament to the Wildcats and what they’ve done. Wagstaff takes great pride in the fact that his entire 300-game career has been with the Wildcats and the journey he’s been through not only as a player, but to now be a husband to Stephanie and a father of two to Kensington and Quinn. The 32-year-old never seriously considered leaving Perth despite offers elsewhere for potentially greater money, court time and even become more of a focal point for a team. But for Wagstaff, his basketball has always been about being part of a successful culture and life was always about more than his career, it was about what was best for his family life too. While he’s nowhere near ready to give up on his career yet, he can’t help but be rightfully proud of his journey so far. “I’m only 32 and I’m not saying I’m just starting out my career, but there are plenty of guys older than me and it’s not as though I rely on my superior athleticism to get the job done,” Wagstaff said. “I feel good physically and mentally so I don’t think I’ve even considered retirement right now. Obviously, in years to come it will have to pop up, but I wouldn’t consider it at the end of this season. I have a few more good years left in me hopefully. “It goes back to basketball being a huge part of my life and my family’s life, but it’s not all of life and there’s a lot of things to consider if you’re thinking about moving teams or moving cities or jobs or careers. “It’s not just about your basketball, you have to consider a lot of other things and there has been opportunities across the years, but you talk about it with your wife and family, and make the best decision at the time and staying in Perth has always been that.